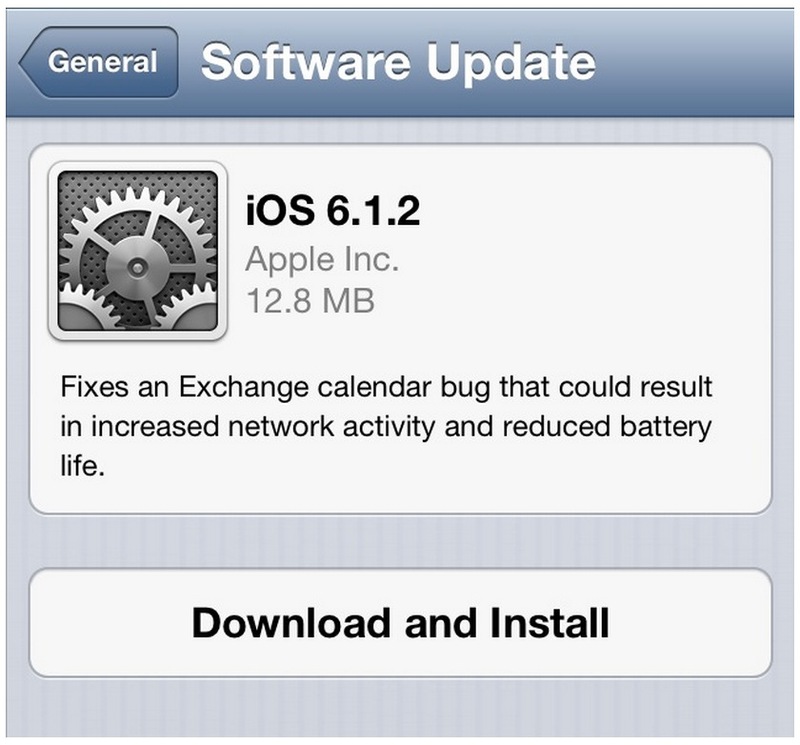 Apple has released iOS 6.1.2 that fixes the critical Microsoft Exchange Calendar bug that was eating away valuable battery and data. Due to increased network cycles related to the Calendar, the bug was using precious battery life. This update should improve battery life and reduce some data usage, but this does not address the iOS lockscreen bypass issue whereby users can simply follow a procedure to bypass the lockscreen on iOS devices to get access to certain elements on a phone. To update, simply go to software update on your device or connect with iTunes.